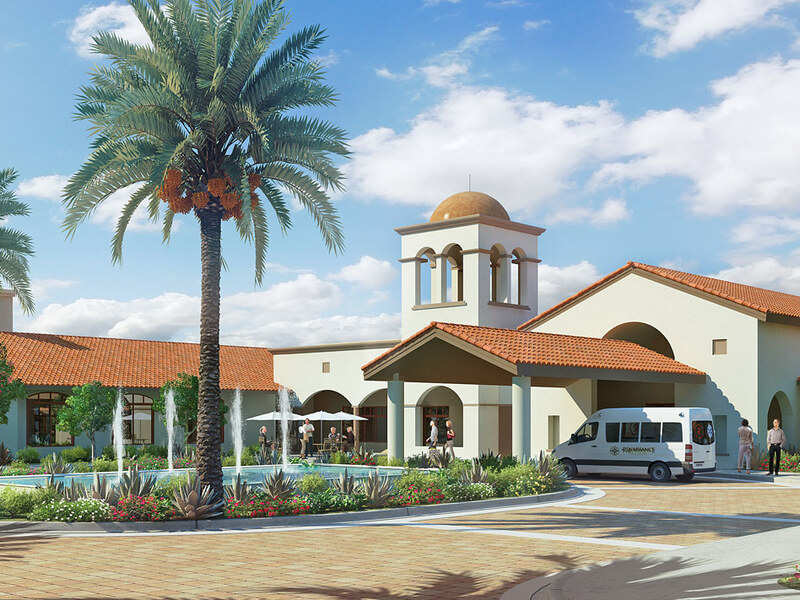 As the third of Continental East Development’s planned senior care communities, Renaissance Village Indio will be the foremost provider of senior long term care in the Indio and Coachella Valleys. Serving the City of Indio and its surrounding communities, including Palm Springs and Palm Desert, Renaissance Village Indio is ideally situated to serve the area’s growing demand for comprehensive, high-quality care. In September 2012, Continental East Development acquired 19 acres located at Jefferson Street and Avenue 40, in the City of Indio. Once again, CED identified this undervalued asset and recognized its ideal location for senior care. Originally a bank owned property which had sat on the market for several years, the site was previously entitled for a commercial development with office condos and fast food restaurants. 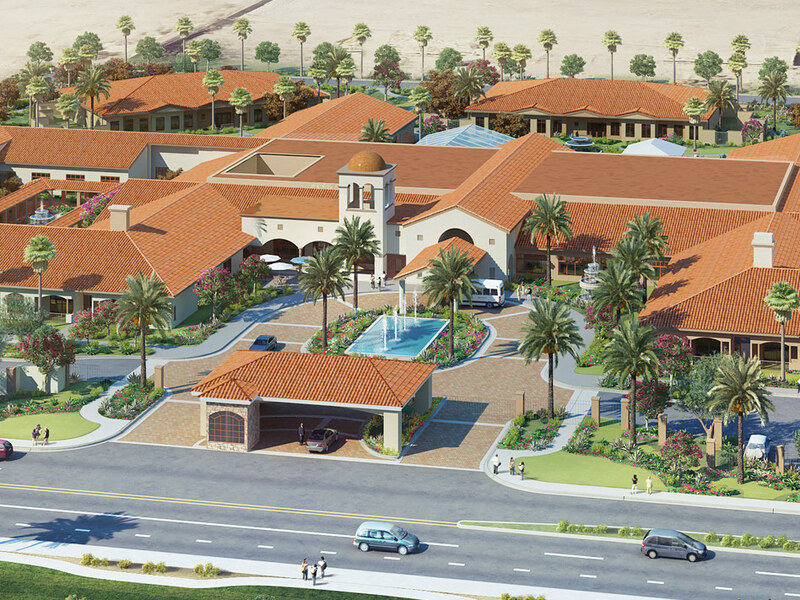 Continental East Development met with the City of Indio and proposed a premier Senior Age-in-Place campus, Renaissance Village Indio. The site is located between the Del Webb Active Adult Communities in Palm Desert and Indio, both of which substantiate a high demand for long term senior care in these areas with over 5,000 homes and an average resident age of 75. On November 13th 2013, Continental East Development received unanimous approval for its Conditional Use Application. CED has begun work on the final civil engineering drawings and final architecture. Construction is anticipated to begin in 2018.